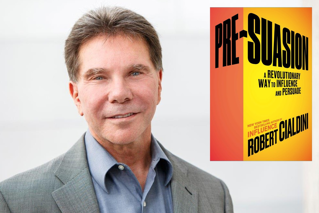 At our recent National Meeting, Chief Outsiders hosted a dynamic Skype conversation with Dr. Robert Cialdini on his latest book Pre-Suasion, A Revolutionary Way To Influence And Persuade. The discussion not only further clarified not only Cialdini’s Pre-Suasion principles, but also provided insight into their applications to our clients’ and our specific business as well. In general, before each interaction, define what you choose to emphasize; specify your goals. Support these with a specific picture, a quote, an adage, etc. Identify something specific that will reflect your goal and resonate with each person involved. At every stage of the sales and service delivery process determine your desired focus. Before your interaction, identify commonalities– Cialdini’s unity principle. Prepare by researching online, using LinkedIn and/or talking with others. Pinpoint these commonalities and share them. List fees at the top of your proposal to be pre-suasive. The proposal provides support of your fees through explanation and expansion of the value you will create. The proposal becomes equivalent to “showing your work” in math class. Ask clients for their advice rather than their opinion. Asking for their advice moves clients towards you psychologically. Asking for their opinion, moves them away; makes them separate from you. Tailor each conversation to each individual, always with your overall goals in mind. 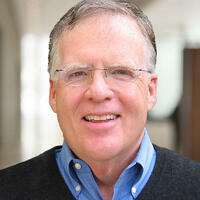 Identify commonalities up front with each involved individual in every project. Consider shared interests, origins, core values, locations, charitable organizations, etc. With pre-suasion, one size does not fit all. Highlighting those commonalities will not only make other individuals feel closer to you. But that process will also make you feel closer to them. For more in-depth information, download a transcript of our conversation with Dr. Cialdini. Pre-Suasion website. Bulk discounts are available for Pre-Suasion as well as Dr. Cialdini’s other books. Contact cara@influenceatwork.com for more information. For information regarding workshops or speaking engagements with Dr. Cialdini, please refer to the Influence At Work website.